New to yoga and would like to walk into a group class with more knowledge and confidence. 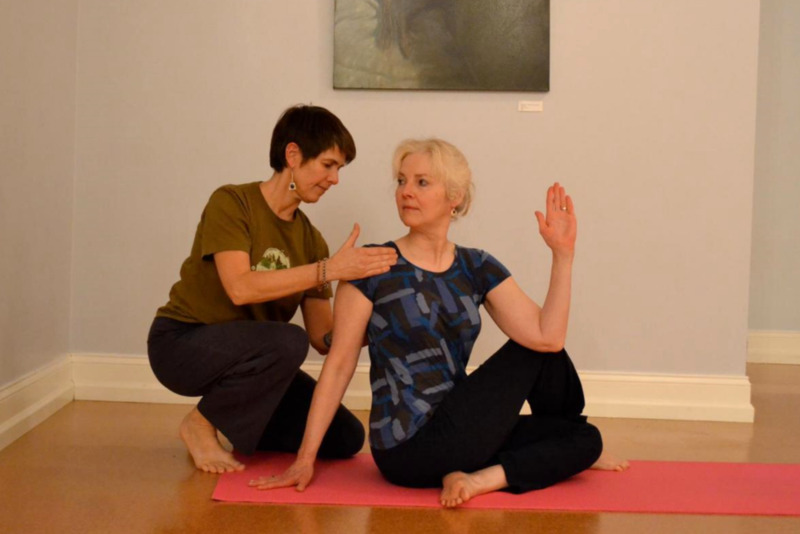 Seeking advice on how to approach yoga with a particular injury or physical limitation. Has reached a plateau and needs one on one attention to get more out of their yoga practice. Is an enthusiastic yoga student and just wants to learn more. Reiki Energy Healing involves a laying of hands along or above the recipient's body, often with a focus on the chakra energy centers. The recipient remains fully clothed and lies comfortably on a massage bed. Shoes and socks are often removed. The Reiki practitioner has been attuned as healer during which her body's energy channels were opened and cleared of obstructions. She now not only receives an increase in this life energy for her own healing, but she becomes connected to the source of all universal energy. Reiki Energy heals the whole person. For example, in healing a headache, Reiki may also heal other organs. Though the healers's hands are in the person's pain area, the source of the headache may be in the digestive system. The headache may also be due to emotional causes such as stress. Reiki heals on this level too. If the person receiving healing has another dis-ease, Reiki will act there as well, whether it has been mentioned to the healer or not. We are more than physical beings, our three vibrational bodies must also be healed in order for us to feel in balance and free of disease. Medicine treats only the physical body, Reiki Energy Healing treats all level of our bodies. One can even think of Reiki Energy Healing as deep tissue massage for the subtle energy body. For questions and scheduling, email info@amarayoga.com. At Amara, we have uniquely skilled staff to address your particular needs. Browse the profiles of our private yoga instructors below, and let us know if there is a particular instructor that you would like to work with. Click on the picture for full teacher bios and class schedule.